Singer David Archuleta kicks off his summer West Coast Tour today in California. Pop singer David Archuleta embarks on the tour for his new EP, Orion, today. The singer, made famous by his appearance on American Idol, recently released his latest EP, titled Orion, in May. 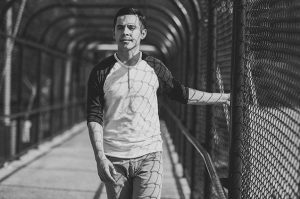 The release of new the new songs was long anticipated by fans, and Archuleta will be accompanying the release with a West Coast Tour. Archuleta will appearing California, Oregon, Arizona, Idaho, Washington and Utah throughout the summer. The tour kicks off today, June 1st, at the Stage Theater in Red Bluffs, California. From there, Archuleta will appear throughout the west and end his tour with a performance at the DeJoria Center in Kamas, Utah in September. 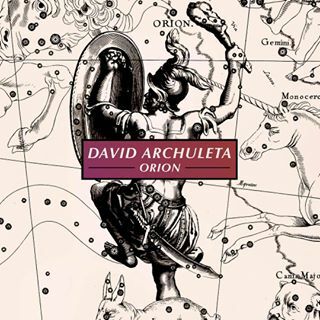 Cover art for Archuleta’s new EP, Orion. Orion is just the first release in a new series of EPs from Archuleta. The songs on the EP are an introduction to the new direction and sound Archuleta is moving towards. “Numb,” Orion’s lead single was influenced by experiences that Archuleta had while serving a two-year LDS mission in Chile. The singer hopes to focus more on connecting with people and what they’re going through with his music, instead of just creating something that is fun and catchy. Archuleta draws from his life experiences to create music that comes from his heart. Videos for the singles “Numb” and “Up All Night” were also recently released. Official tour dates and information to purchase tickets is available on David Archuleta’s website.